An AXYZ 4000 series CNC router supplied by AXYZ has helped boost production and radically reduced customer turnaround times at Rotherham-based Connaught Conservatory Roofs. For over 50 years, the company has been manufacturing high-quality conservatory buildings, primarily for the home improvement market but also for the commercial sector, that involves the use of timber materials such as plywood and OSB composite board for the roofs. Hitherto, these materials were processed largely by hand that proved a time consuming and labour intensive operation. Manual input has also been further reduced due to the fact that the router can be remotely controlled via the company’s computer to enable unattended operation. The AXYZ router’s capabilities will shortly be further enhanced by the addition of a knife unit that will be used to cut building insulation material up to a depth of 90mm. Like all routers in the AXYZ 4000 series, the 4014 model can be supplied with a host of optional performance-enhancing design features. Arguably, the most important of these is the AXYZ Auto Zone Management facility. This ensures the material being processed is always held securely throughout the production cycle to provide optimum accuracy and a superior edge finish whilst reducing material wastage and machine downtime caused by incorrectly set vacuum valves. An expanded (up to 33 stations) ATC (Automatic Tool Change) is also now available. The AXYZ Auto Zone Management facility supplements and supports other performance-enhancing features recently introduced by AXYZ. These include the latest A2MC machine control system that greatly reduces ‘bounce’ and vibration caused by sudden acceleration and/or deceleration and the new AVS (AXYZ Vision System) which is integrated within the A2MC system and which is fully compatible with all of the cutting tools used on AXYZ routers. Complementing these machine upgrades is a new helical rack and pinion drive system that greatly reduces machine wear. This is possible due to the system’s use of a multiple gear teeth configuration that ensures more even distribution of the workload, increased feed rates and cutting accuracy, quieter machine operation and ultimately a longer machine life. 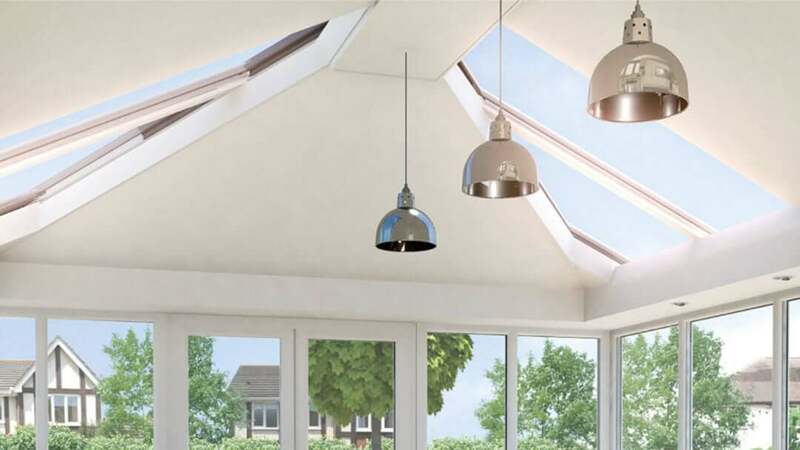 For more information on the services provided by Connaught Conservatory Roofs, visit www.connaughtconservatories.co.uk.